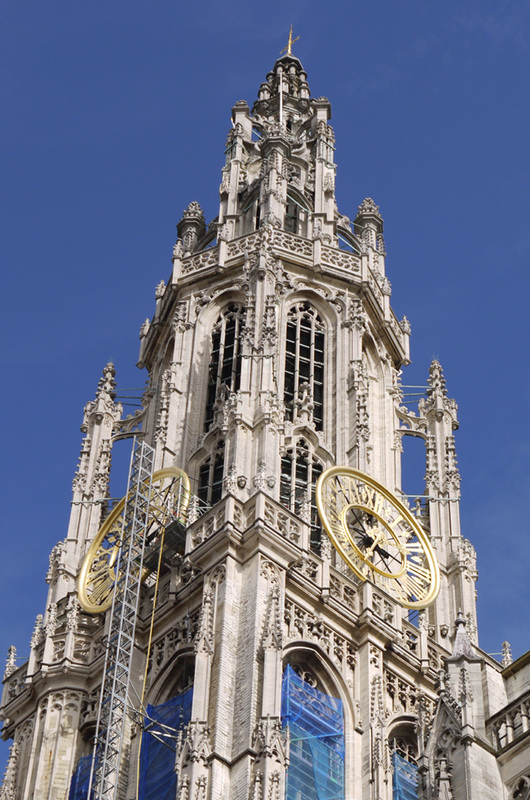 Travel: Antwerp, Belgium . 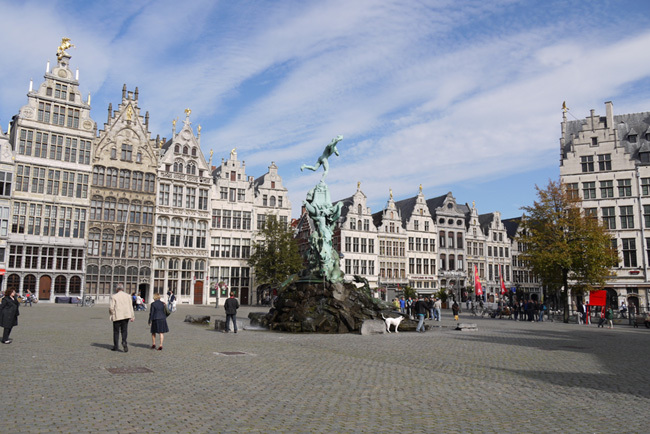 . .
On Monday 1 October I made a flying visit to the Belgian city of Antwerp to interview someone for the magazine I work for. It was such a brief trip, but I did manage to fit in a visit backstage at Terry Gilliam's production of the opera, Faust (many thanks to the production manager for showing me around) and a speedy walking tour of the city to take in some of the charming old architecture the city has to offer. 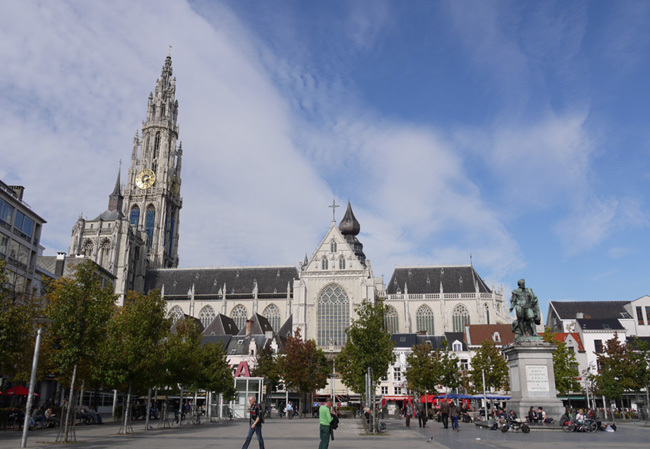 From step-buildings, to an elaborate cathedral and one of the grandest train stations I've ever seen - Antwerp is a very pretty city with a chocolate shop on almost every corner. 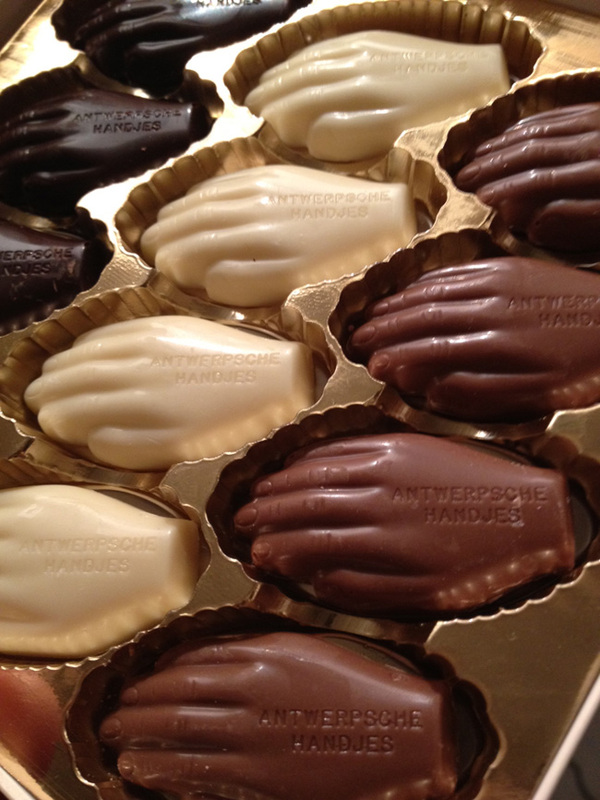 I picked up a box of Belgian chocolates shaped like little hands (see final picture below) - the traditional mascot of Antwerp. 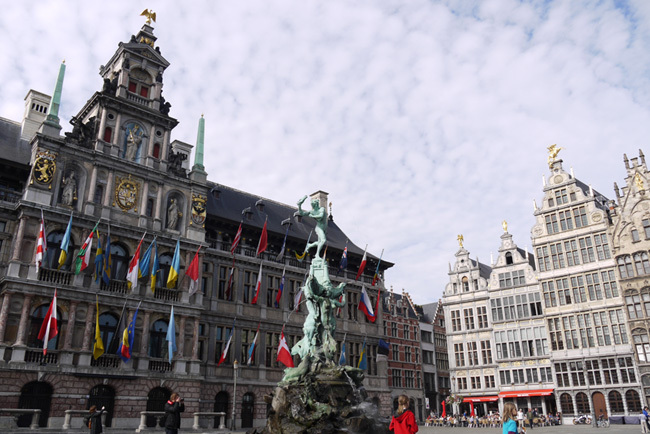 Folk lore has it that the city of Antwerp takes its name from the legend of a giant called Antigoon who chopped off the hands of anyone who crossed the river in to Antwerp and didn't pay him a toll, throwing the severed limbs into the river. Eventually the giant was slain by a young hero called Brabo, who cut off the giant's own hand and flung it in to the river. The name Antwerpen, from Dutch hand-werpen, akin to Old English hand and wearpan - to throw. 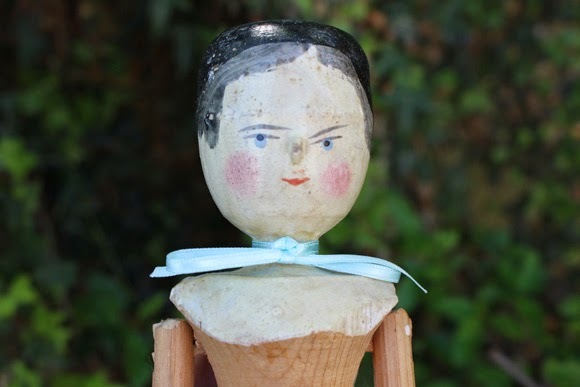 Today the story is paid tribute to by an elaborate statue in front of the town hall. The hero holds the giant's severed hand aloft triumphantly and water spouts from the hand as if it were blood. Gruesome! 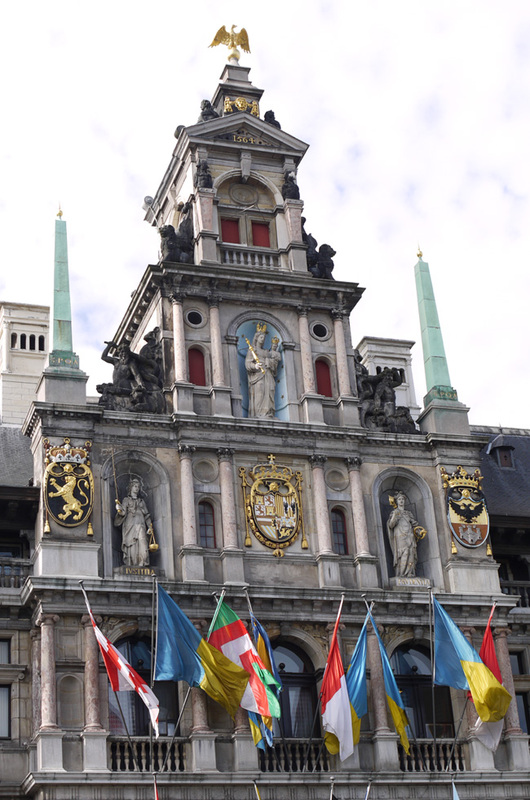 You can see the green statue in the above and below photos along with the town hall, decorated with flags and the elaborate cathedral with its towering spire. Baking: Halloween Glam Cake Pops . . .